We provide an extensive portfolio of EMC testing services. Thus, we can verify if your product meets applicable electromagnetic compatibility requirements. Moreover, we will support your product development process starting from product’s requirement definition all the way up to the completion of approval testing. Furthermore, we serve many different branches of the industry and are familiar with most relevant standards. More details on our services are only an e-mail or a phone call away. Our test specialists have strong experience in this testing area. In addition, product requirements are investigated in detail during offer creation and test planning is always done based on the customer’s needs. We are well known for our high quality reporting with detailed error descriptions. Moreover, our specialists are also capable of helping in with debugging issues. We are happy provide more detailed information and make a proposal how we can verify your product’s Electromagnetic compatibility. Check out our other services here. 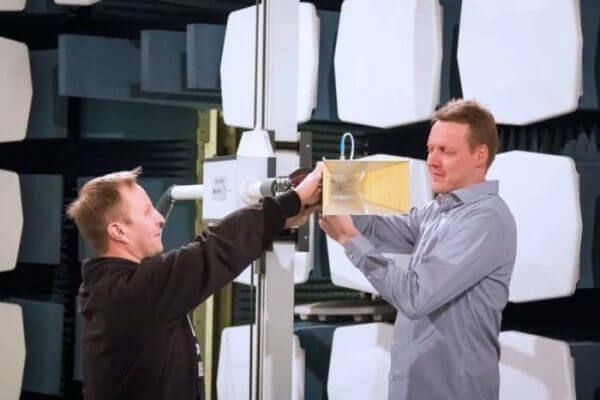 Moreover, you can read more about our EMC testing capabilities by checking out our laboratory page here. For more information about the topic, check out the official web page of the European Commission here.